This rectangular sign measures 42″ by 35″. The background color is white and the sign has navy blue text and red text. 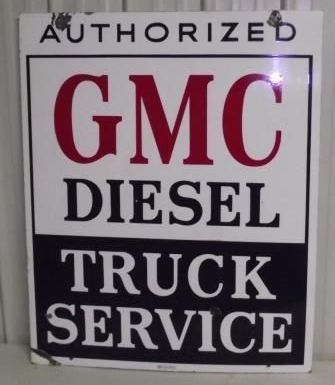 The text reads “Authorized GMC Diesel Truck Service.” The words “Truck Service” are shown in white text on a blue background.